Beautiful day, getting hotter by the hour. Hit the official halfway point today, received some awesome trail magic of a bunch of Gatorade bottles chilling in a stream, and then continued on into the Pine Grove Furnace state park, whereupon the fun began. 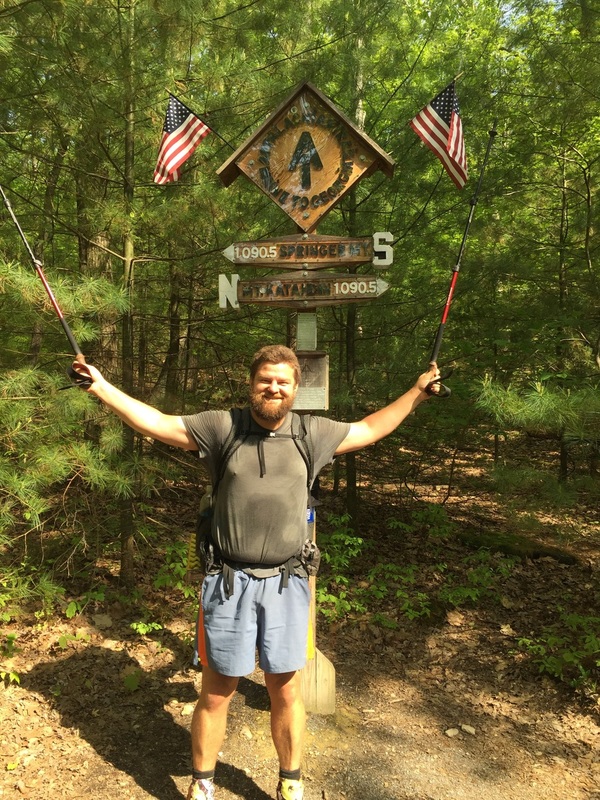 There's a long standing tradition that upon reaching the park, hikers attempt to take on yet another Appalachian Trail Challenge. These ranger from the ridiculous, to the absurd, and today's was the notorious Half Gallon Challenge. Basically, you eat an entire half gallon of ice cream in one sitting just because you can. It was a sickly experience, but one that I completed. 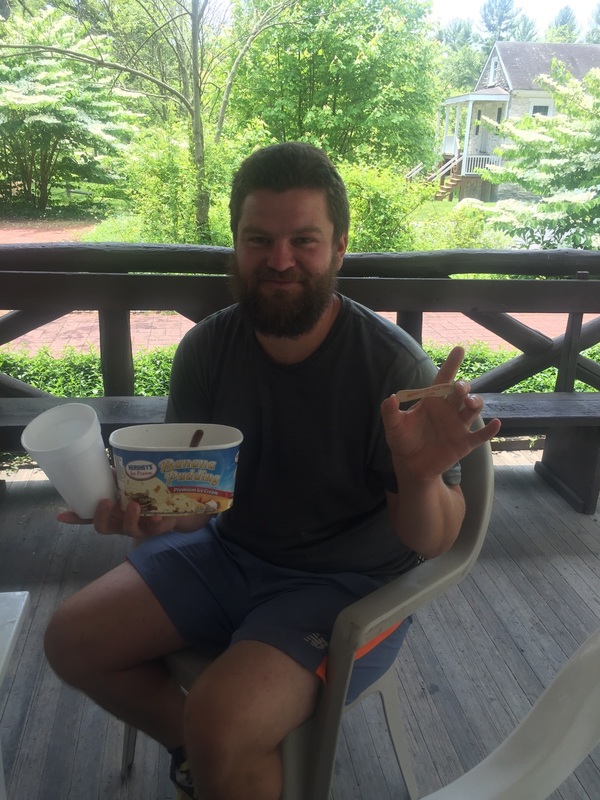 After stuffing a sizable amount of banana pudding ice cream down my gullet, I then tackled the final pint of cookie dough ice cream (first container isn't quite a half gallon, so you get to eat another pint afterwords). Needless to say, that was entirely too much sugar and other stuff. But even so, I ordered up a hamburger afterwords, because, you know, hikers. Left the general store and took a look inside a museum dedicated to the Appalachian Trail. Pretty cool stuff inside, worth a visit if you're ever in the area. Finally, before leaving the park, I took a dip in the lake. Totally worth it, and they even had free showers, which I took advantage of. 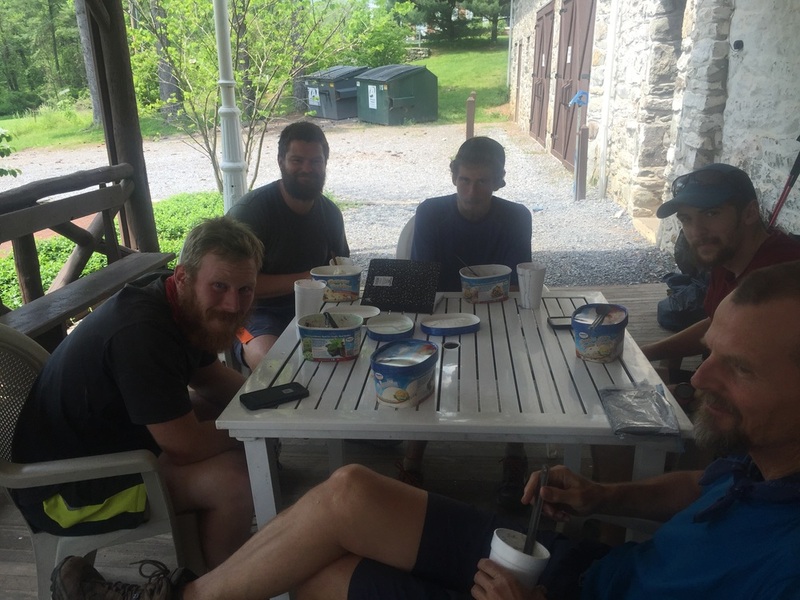 Finished up the day by hiking seven miles to the shelter on a full stomach of ice cream. But you know what I did when I got in: I ate my dinner, as you do.